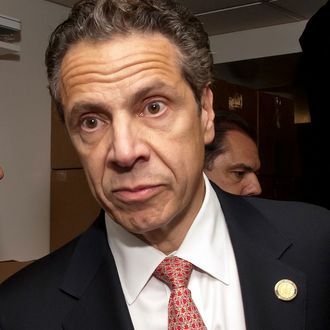 In a pre-departure interview, Cuomo told the WSJ that he sees catching up on global terror threats as a duty of New York’s governor, albeit one he’s less familiar with. “I know my job as governor. I know it. I know the Legislature, I know the budget, I know emergency management. I watched my father do components of it. I did it in the federal government,” he said. “But this is a new component for all of us. So I want to be the best-educated that I can be.” And, not unlike his recent trip to Israel, paying a visit to Afghanistan — his first — might make him look slightly more like presidential-candidate material, should he attempt go that route in a few months.